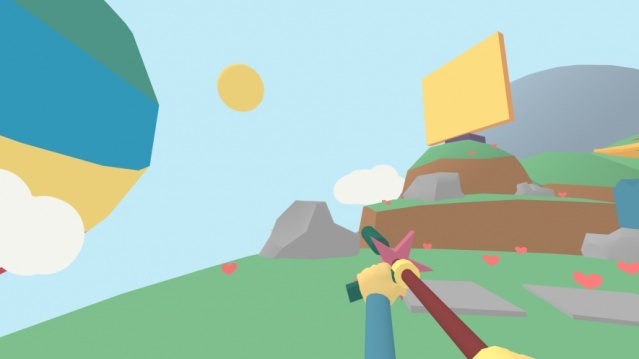 Katamari Damacy Meets The FPS Genre! The game is a very simple FPS at first glance, however the advanced physics engine and sheer scope of the game is surprisingly impressive. The game has several features crucial to speedrunners including a built-in timer which can be used to see just how quickly you can beat the games' 100 levels. The game can easily take 4-6 hours to beat, however once you get the hang of the game you can easily beat it in under an hour and a half! The first off-putting aspect of the game is the fact that there's no cross-hair to aid you which can make aiming quite difficult. Thankfully the game does possess a target-lock button, however it is still somewhat inconvenient to use. Another negative is that Lovely Planets' controls are extremely awkward "especially the button-mapping" and take some serious getting used to which is definitely not good in our opinions. The title's Off-TV-Play is a great feature that is always welcome! Visually Lovely Planet looks absolutely adorable in a simplistic and colorful way! 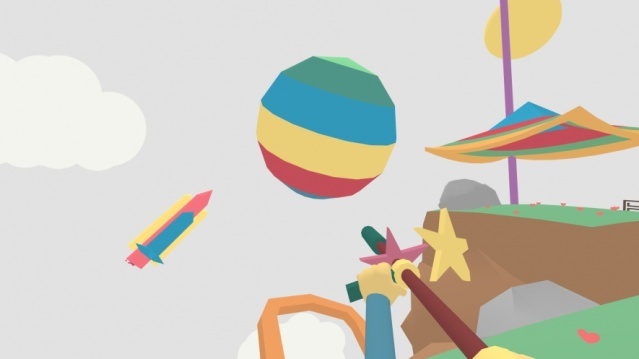 Fans of the Katamari Damacy series should feel right at home with the art-direction of the game! The sounds effects in Lovely Planet are okay, but nothing special, however the soundtrack is fairly decent in our opinions! 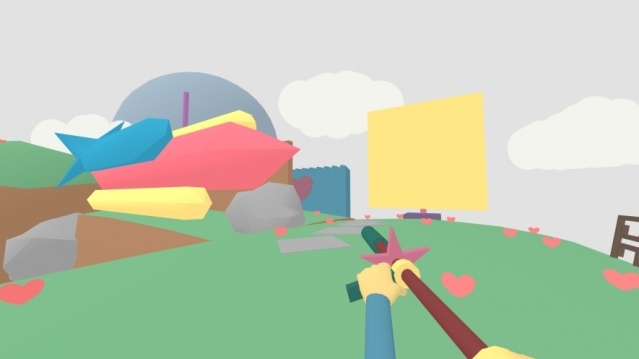 With solid gameplay, a great amount of content, and adorable visuals, Lovely Planet is a decent to solid first person shooter that is quirky and fun to play in small doses, however poor button-mapping and other poor choices in Lovely Planets' design really holds the game back. Regardless the game still deserves a decent recommendation in our opinions! Our review is now live. Good review, but I'll pass. This doesn't sound all that good tbh.